"Seiko was extremely helpful in finding me my new house as well as helping me with selling my old house. In selling the old house, she had a keen eye for improvements and staging that was both inexpensive and very effective. My house was under contract within two weeks! As for buying a new house, she was able to cut through the multitude of listings and find me ideal homes for my specific requirements, and was extremely flexible in show times and had detailed information like roof/furnace/HVAC ages and school information ready to go the moment we went into a house. During negotiation stages she had great insight and experience that helped fetch a good price as well as handle inspection negotiations. On top of all of that Seiko had top-notch referrals from painters, handymen, loan officers, and attorneys. In summary, I highly recommend Seiko if you need to buy or sell a home!" "Seiko sold my parents' home in TEN days. Seiko did what our previous agent could not do in almost a year's worth of headache, trial and error, and lots of frustration. Seiko is a shark but she does everything with a smile. She was able to help us receive more for our house than our previous agent had quoted that we would receive. Seiko is consistent, resourceful, highly detail- oriented and follows up promptly, and gets everything squared away like a true professional. We would highly recommend her services for anyone looking to sell their home quickly and at the highest price. She is worth every penny"
"Let's start by saying just that Seiko is the best... I know you are wondering why I can say that? Well when you go to a house, she will tell the true opinion. By saying this, I mean she will really say the good and the negatives of the house...She becomes more like a friend or family trying to help you make a good decision rather than making a sale. Never once have I experienced a push from her to buy a place. Another huge plus point was she helped out not only to find the place but through the whole process. By that, I mean she guided me through my mortgage process and made it clear and explained to me much better than the loan officers. I guess I can keep going all day about Seiko but to shorten this up the last thing and I believe the most important is she is always available to consult and speak throughout your home buying process. No matter the time you can text her or call her and get a response and trust me this is very important especially when you are going through a tough decision-making process. Overall it was a pleasure to work with Seiko. 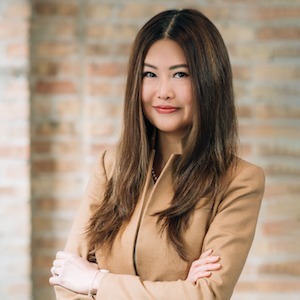 I will definitely refer her to anyone looking to buy a house"
"As a client of Seiko my reason for choosing her over others I interviewed is her enthusiasm, very detailed and very well organized and her honest with much integrity. She was able to negotiate for me the price that I felt was fair after she showed me a detailed comparison of similar properties within my area. She even was able to get a much better price than I thought I would get. I already recommended her to many family and friends and coworkers. I hope when making your decision to sell or purchase your greatest asset a home, you would give her the opportunity to be your agent. Thanks Seiko for all your help." Clients agree, when you want to Get It Done, Seiko Phalidwanon is your realtor! Seiko is committed to being your professional partner in real estate. Whether you are buying or selling real estate in Chicago, and the surrounding Cook County, Lake County, your relationship with Seiko Phalidwanon is a collaborative partnership. She combines her real estate expertise with an understanding of your family´s particular needs and creates a professional partnership that gets you the results you want and deserve. She is closely in tune with the market and will work with you closely to find the right property for you! She works with every aspect of the industry, representing sellers, buyers, investors as well as coordinating with brokers and banks to make sure her clients are getting it done right! Seiko spent her first years on the North Side of Chicago before moving to the heart of the South Loop and then the northwest suburbs, before returning to the city. This experience has given her extensive knowledge of Chicago neighborhoods as well as the suburbs where she can help you find the perfect home. She provides a customized approach that matches you with your perfect home today and for the future. Her first year she was named Rookie of the Year, closing the highest volume in the Northwest Suburbs. She honed her knowledge and skills assisting many families smoothly negotiate the challenges of buying and selling their homes. With her personal attention to detail, listening and understanding your needs, she sets out to make the experience as seamless and easy as possible. Give Seiko Phalidwanon a call today at 847-909-5369. You'll be glad you did.